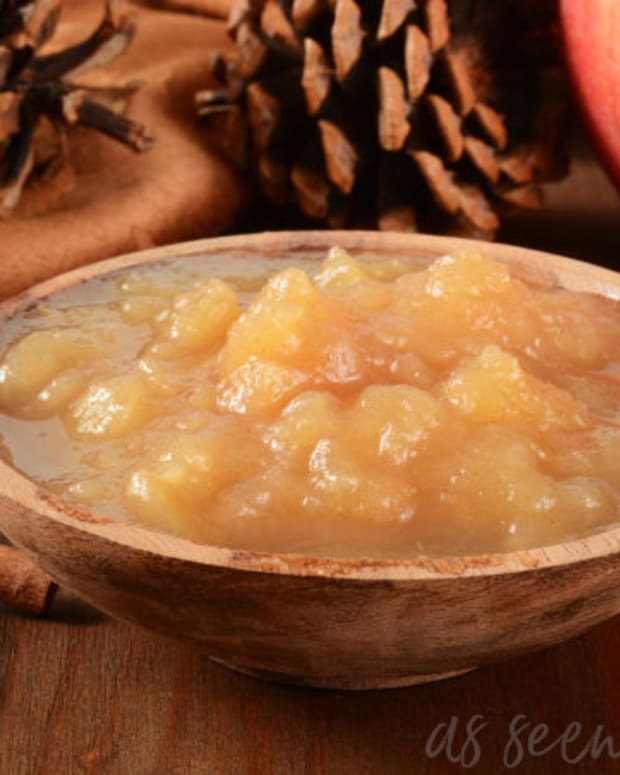 This recipe was inspired by the Rosh Hashanah siman of apples and honey, but would be delicious any time during the Fall season. This one has no added sugar, with just a hint of sweetness from the apples. 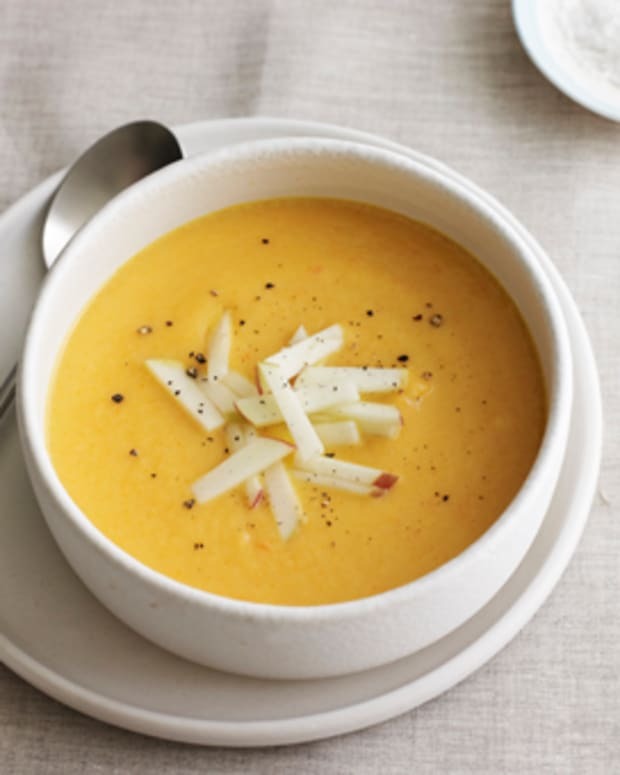 It’s similar in flavor and texture to a deliciously thick, savory, earthy, root vegetable soup. You can use vegetable broth in place of chicken broth if you want to make it vegetarian; and you can thin it out to a consistency of your liking by adding more broth and blending it longer. 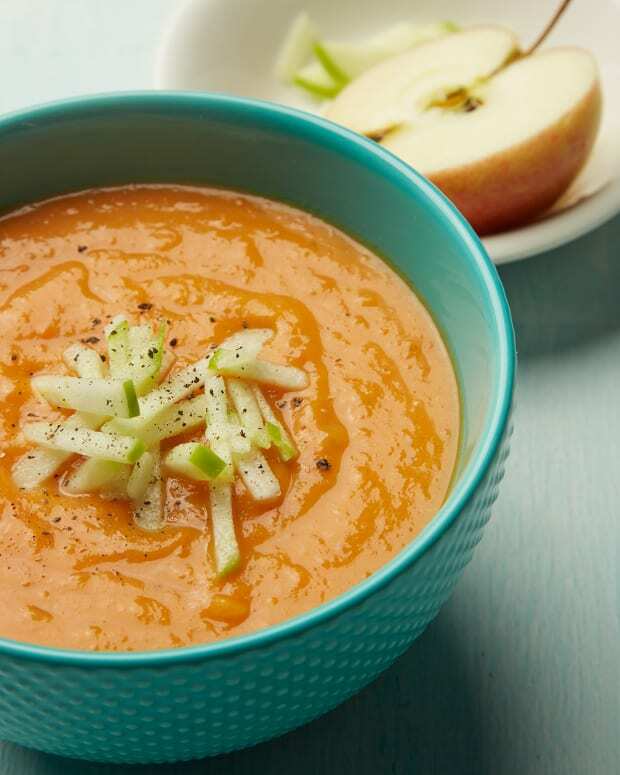 Finish it off with a drizzle of honey or olive oil and garnish with a few thin raw Granny Smith apple slices for a fresh, crisp, crunch. 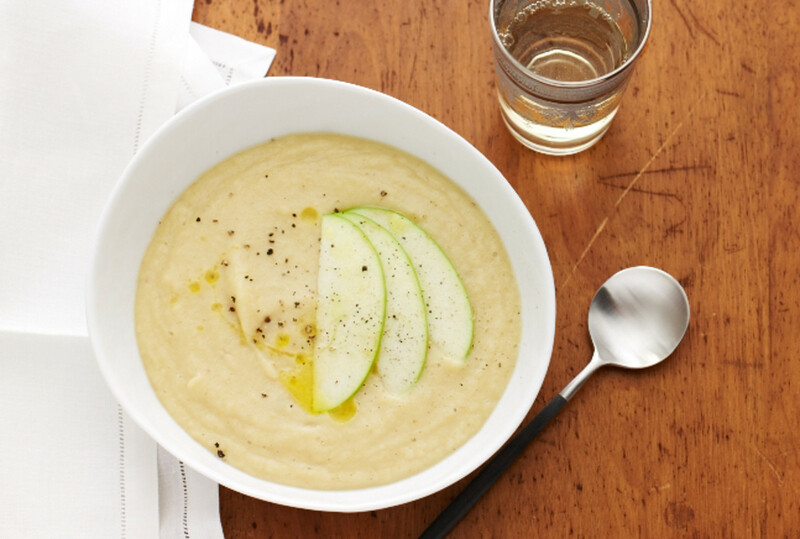 Apple and parsnips pair perfectly in this balanced, flavorful, warming soup. 1. Heat oil in a large pot over medium-high heat. Add shallots and sauté 2 minutes. 2. 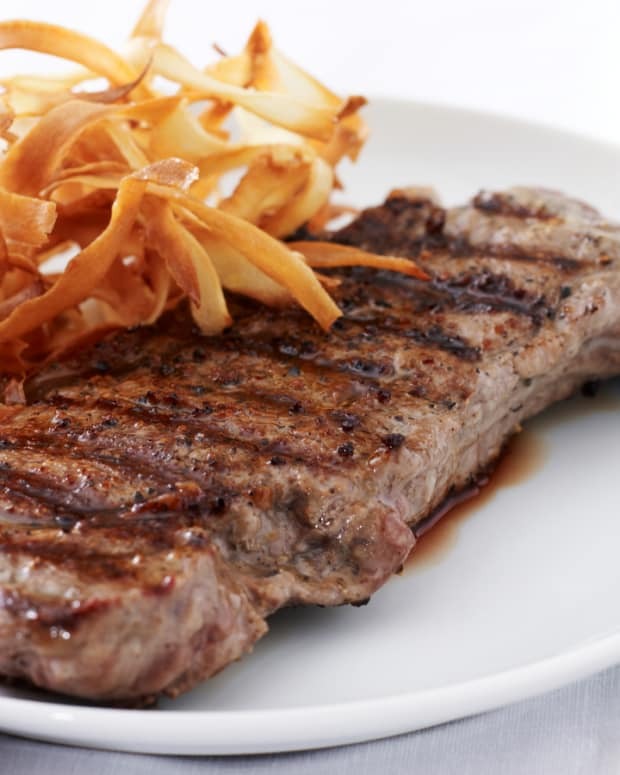 Add parsnips and sauté 3 minutes more. Add apples and stir 1 minute. Add curry powder, coriander and garlic powder, stir to coat. Add chicken stock and bring to a boil. 3. Reduce heat and simmer until vegetables are tender, about 20 minutes. Let cool. 4. 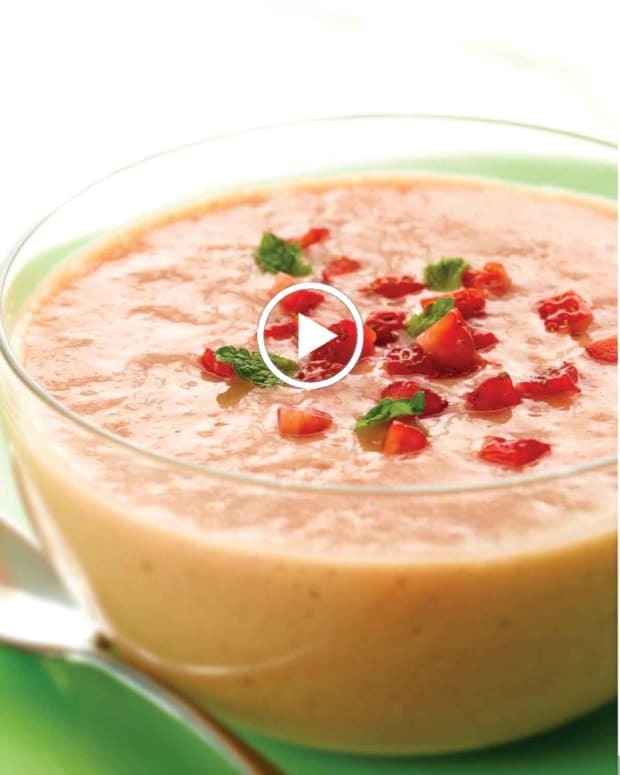 Puree soup with an immersion blender or working in batches in a blender or food processor until smooth, thinning with more broth if desired. 5. Return soup to clean pot and bring to a simmer. Season to taste with salt and pepper. To serve divide between bowls and garnish with olive oil and sliced apple if desired.